Little M and I love visiting bookstores, they are great places to discover new children’s books and revisit old favorites, grab a cup of coffee (for me) and a treat (for him) and settle in for story hour. 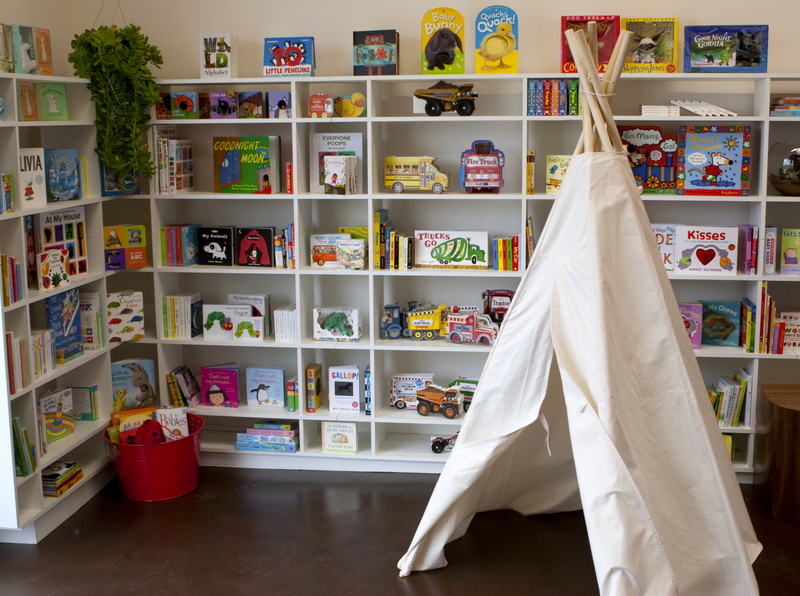 One of our all-time favorites stores is Books and Cookies in Santa Monica (pictured below). It is a lovely bookstore, with a beautiful reading room for Little M to explore, an incredible selection of books and an amazing cafe with lots of healthy bites for kids. Chudney Ross, daughter of legendary singer Diana Ross, is the owner of Books and Cookies, but she is also a writer, teacher, TV host and new mom – her daughter Callaway Lane was born in September! I recently had the opportunity to chat with Chudney and she was kind enough to share her thoughts about books, babies and favorite things to do in Los Angeles. C and C: What inspired you to create Books and Cookies? CR: I came up with the idea for Books and Cookies with my friend Mary Guiliani, who is an event planner in New York. The original idea was to fuse her love of food and my love of children’s literature. It grew by leaps and bounds from the original idea as I sat at coffee shops writing and saw families hanging out with their children for hours on end with nothing really for the kids to do. I wanted to create a space that parents felt comfortable, but kids were able to grow and learn. I feel fortunate to have found this beautiful location here on Main Street and I am very proud of the creative and fun learning space that Books and Cookies has become. C and C: I loved reading your debut book, Lone Bean. Do you have another book planned in the Beans Books series? CR: I always loved reading growing up. I loved that I could get lost in the pages of a book and be who ever I wanted to be. When I began writing, I knew I wanted to create a fun and relatable character and a story that had a positive message told in a light way. Writing this book was a challenge for me and took many years, but I think I achieved what I had hoped for with Lone Bean. I feel very blessed to have gotten positive reviews from the people who are most important… the children! The plan has always been to write a series of Bean’s Books, but the past couple of years have been so busy with the opening of Books and Cookies, the release of Lone Bean and the birth of my first baby that I haven’t had a chance to sit and focus on writing. Hopefully, soon I will get back to writing and book two will not be far off. C and C: What are you reading to your baby now? CR: Callaway is just 4 weeks old, so mostly we are singing and talking through our daily activities. Babies are like sponges taking in everything we say and becoming familiar with words and the sound of our voices. These are the early building blocks of literacy. I’ve also started buying books for Callaway’s book basket. My favorites right now are Indestructibles because she can grasp, chew and slobber on them and they won’t rip or give paper cuts and they can be washed without damaging the pages. I love the multi-cultural artwork and that they have no words, so I am free to make up my own stories. C and C: What were your favorite books growing up? CR: I always loved (and still do love) anything by Eric Carle. The simple stories and artwork always drew me in. I also loved Eloise, Madeline and The Lonely Doll. I’m such a girly-girl! As I got older, I was a huge fan of anything by Beverly Cleary or Judy Blume. C and C: What is your favorite place to unwind with a book and your little one? CR: I have the most amazing glider chair which looks out my window. I love to read, snuggle with Callaway, nap, pretty much do everything in that chair and at sunset or sunrise I can see the most beautiful colors in the sky over the ocean. C and C: What’s your idea of an ideal day in Los Angeles with your family? CR: Callaway is still so little to be out and about in LA, but I love to go on a family walk every night as the sun is going down. As the sun sets, the sky turns a beautiful orange, pink and purple and spending that time walking and talking as a family is a very special time of day. As Callaway gets older, I look forward to spending time outside at the beach and in the park. We are very lucky in LA to have this amazing weather and I feel fortunate to be able to raise my child here. C and C: When stepping out of the house with your baby, what is the one item you always have in your diaper bag? CR: I never leave home with out my iPhone in my diaper bag! Truly, I don’t know what I would do without it. With my iPhone at easy reach I never miss a picture of Callaway. She is growing so fast and I never want to miss a cute moment! I can also easily keep track of feedings, diaper changes and naps. My iPhone also allows me to run my business on the go. I can to check my email and stay in touch with the girls at the store all while being a full time mom. CR: BOOKS! For baby showers, I always stuff a case of diapers with board books, cloth books and my new favorite Indestructibles. Tie a ribbon around it and you have the perfect start to any baby’s first library! What a lovely shop! And who can resist books and cookies? Exactly! It is really beautiful inside, and very welcoming. My son and I enjoy spending quiet afternoons there, reading and exploring new books!